X It loves sparkly things. It seeks treasures in caves and hoards the loot in its nest. X Es liebt funkelnde Dinge und sucht nach Schätzen in Höhlen, die es dann in seinem Nest hortet. X Toujours à la recherche d’objets brillants, il arpente les grottes pour constituer son butin. X Le gustan las cosas brillantes. Busca tesoros en cuevas y se lleva el botín a su nido. X Adora gli oggetti luccicanti. Va a caccia di tesori nelle grotte e li trasporta nel suo nido. X 반짝반짝 빛나는 것을 아주 좋아하기에 동굴 안에서 발견한 보물을 자신의 둥지에 모아둔다. Y Die Rohedelsteine, die beim Erweitern seiner Höhle zum Vorschein kommen, hortet es in seinem Nest. Y Carmache accumule les pierres précieuses qu’il déterre quand il entreprend d’agrandir son nid. Y Tiende a acumular las gemas en bruto que encuentra cuando agranda su guarida. Y Ha l’abitudine di collezionare gemme che trova mentre si scava la tana, appositamente ampliata. Y 거처를 늘릴 때 땅속에서 나온 보석의 원석을 거처에 모아두는 습성을 가졌다. 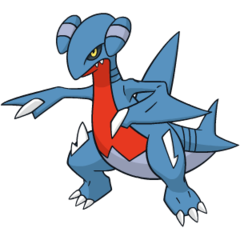 Omega Ruby As it digs to expand its nest, it habitually digs up gems that it then hoards in its nest. 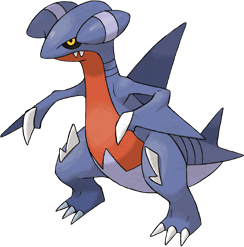 Omega Ruby Die Rohedelsteine, die beim Erweitern seiner Höhle zum Vorschein kommen, hortet es in seinem Nest. Omega Ruby Carmache accumule les pierres précieuses qu’il déterre quand il entreprend d’agrandir son nid. Omega Ruby Tiende a acumular las gemas en bruto que encuentra cuando agranda su guarida. Omega Ruby Ha l’abitudine di collezionare gemme che trova mentre si scava la tana, appositamente ampliata. Omega Ruby 거처를 늘릴 때 땅속에서 나온 보석의 원석을 거처에 모아두는 습성을 가졌다. Alpha Sapphire It loves sparkly things. It seeks treasures in caves and hoards the loot in its nest. Alpha Sapphire Es liebt funkelnde Dinge und sucht nach Schätzen in Höhlen, die es dann in seinem Nest hortet. Alpha Sapphire Toujours à la recherche d’objets brillants, il arpente les grottes pour constituer son butin. Alpha Sapphire Le gustan las cosas brillantes. Busca tesoros en cuevas y se lleva el botín a su nido. Alpha Sapphire Adora gli oggetti luccicanti. Va a caccia di tesori nelle grotte e li trasporta nel suo nido. Alpha Sapphire 반짝반짝 빛나는 것을 아주 좋아하기에 동굴 안에서 발견한 보물을 자신의 둥지에 모아둔다. Sun In rare cases, it molts and sheds its scales. Medicine containing its scales as an ingredient will make a weary body feel invigorated. Moon Shiny objects are its passion. It can be found in its cave, scarcely moving, its gaze fixed on the jewels it’s amassed or Carbink it has caught. Diamond It is believed since ancient times that medicine made from the scales of Gabite can heal incurable diseases. Pearl It has the habit of collecting dug up gemstones in its lair. Thieves who try to steal them are not seen or heard of again. Platinum It loves sparkly things. It seeks treasures in caves and hoards the loot in its nest. SoulSilver As it digs to expand its nest, it habitually digs up gems that it then hoards in its nest. Black It loves sparkly things. It seeks treasures in caves and hoards the loot in its nest. White It loves sparkly things. It seeks treasures in caves and hoards the loot in its nest. White 2 It loves sparkly things. It seeks treasures in caves and hoards the loot in its nest.